Marc Willis has had a passion for performing since he was 3, or at least that's what his mom said. As a youngster who preferred impersonating Johnny Cash with his toy guitar ON his bed at bedtime instead of IN it, to his first solo in church by the age of 7 and on into school, graduate school and beyond, Marc's passion for entertaining is apparent in his performances. As a singer, entertainer, model, host/emcee and actor with over 75 stage credits to him name, Marc is happy to call New England home. Born and raised in the south, the son of a Southern Baptist Minister, Marc's life was always infused with music. He began singing early, learned to play piano at 7, gained classical voice/music training at the University of South Florida and continued to follow his love of music to the world of Musical Theatre. 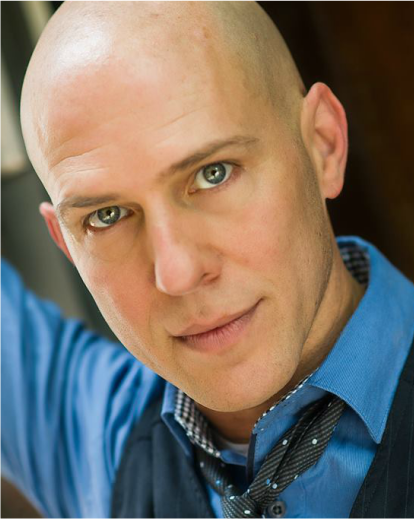 Marc moved west in 1990 to San Francisco, California and later to Seattle, Washington where he further developed and honed his musical chops and theatre experience working with various regional theatre companies and world class choral organizations. In 2008 Marc moved to New England after nearly 20 years working on the west coast. Since then he has been featured in over 50 different productions in and around New England garnering 5 New Hampshire Theatre Award Nominations and 3 Best Actor/Supporting Actor New Hampshire Theatre Awards for his work. Marc has enjoyed lead roles in various regional productions including Hairspray, The Producers, A Christmas Carol, BUDDY: The Buddy Holly Story, All Shook Up, Midlife: The Crisis Musical (The Palace Theatre, Manchester, NH) and The Mystery of Edwin Drood, Oklahoma, Legally Blonde: The Musical, Our Town, Dial M For Murder (The New London Barn Playhouse, New London, NH).